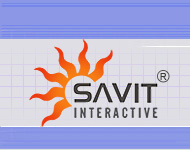 Savit Interactive uses PayPal is the secure payment processor. To continue, please enter the amount payable to Savit Interactive. This amount will be deducted from your credit card under the account "Service Charge" for service rendered by Savit Interactive. On Pressing Submit you will be directed to the site of our payment processor.